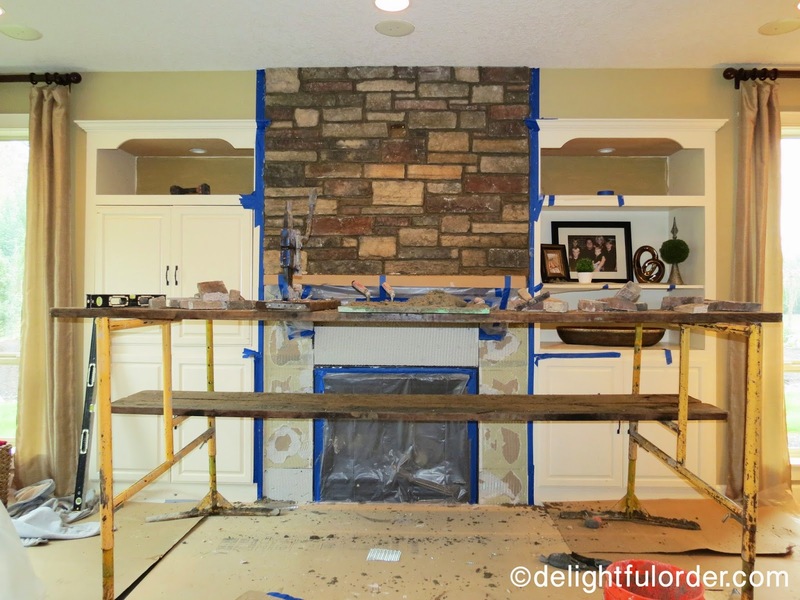 So, remember I told you that a new look is coming to my fireplace? It's all done and I love it! It's definitely the WOW that's been needed in my family room. 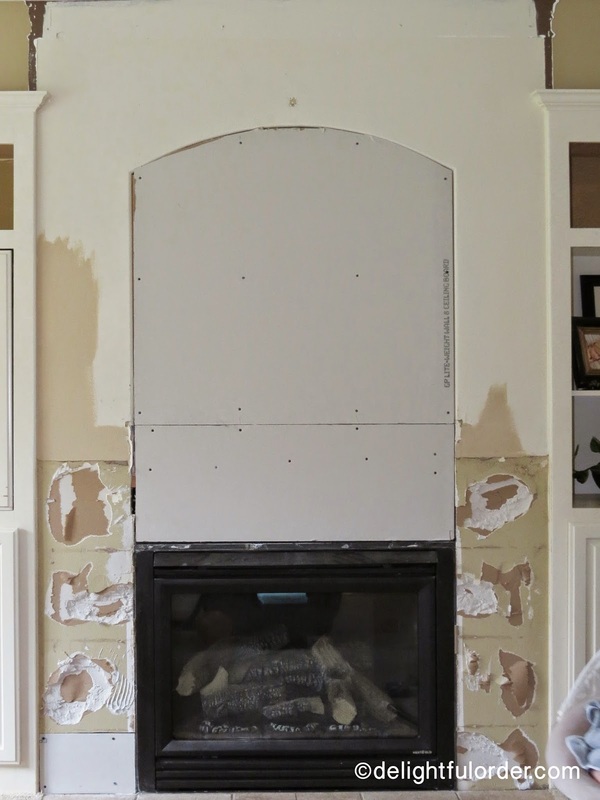 First thing we needed to do was remove the tile and frame in the arched opening. 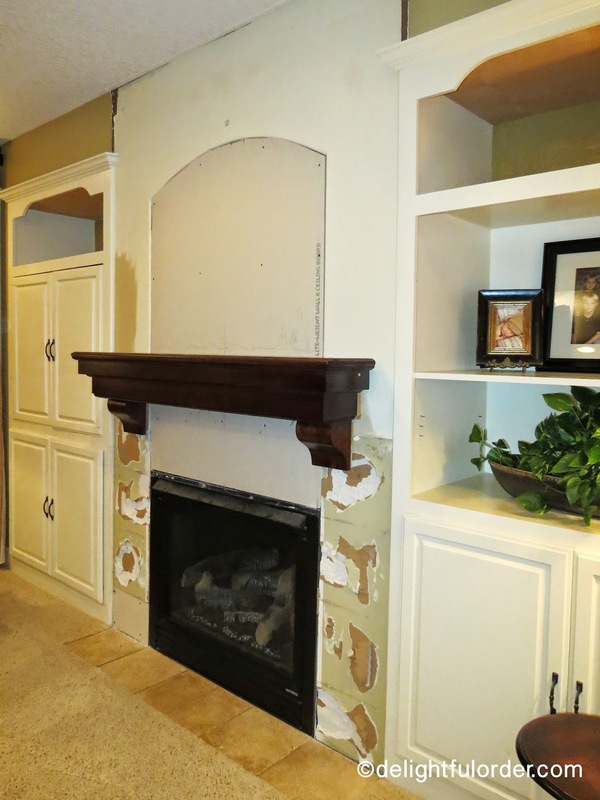 Next up was the installation of the mantel. I found this awesome mantel online and got it while it was on sale. I was a little nervous, because I wasn't 100% confident that it wasn't going to look cheap. I was pleasantly surprised when it showed up at my door step less than a week from placing the order. I would totally recommend this mantel to anybody! It's great quality for the price. 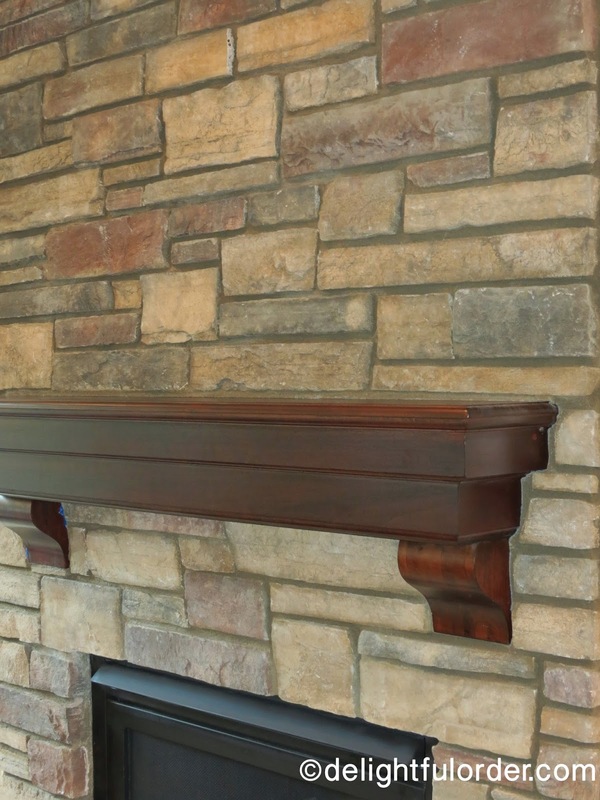 My trim carpenter said that he couldn't hardly buy the materials for the price of this finished mantel, so he was impressed too. He installed the mantel for us. I already knew I was loving it, even at this half finished stage. 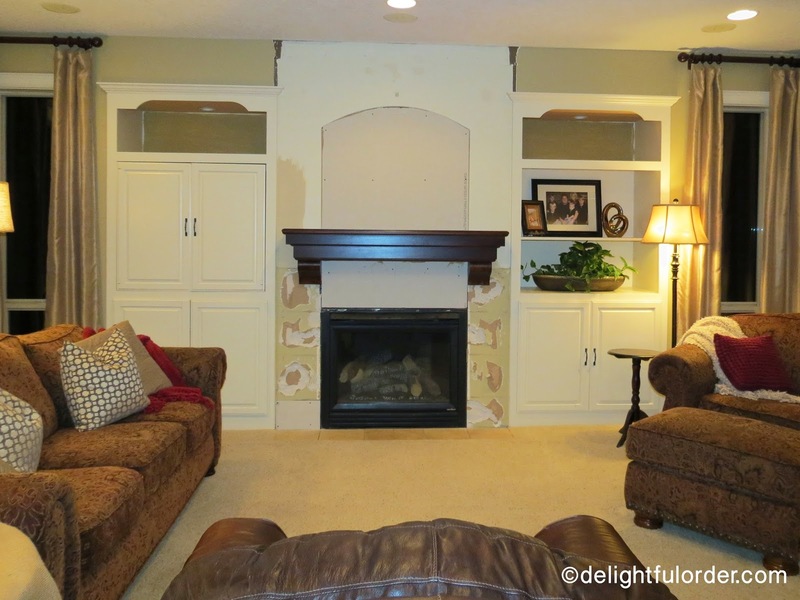 I am SO loving my new family room fireplace look! I've been waiting for a mantel since we built this place 6 1/2 years ago, so it's been long awaited. It finally feels finished. I just need to decorate it now. Oh, it turned out just beautiful! The stone looks great. 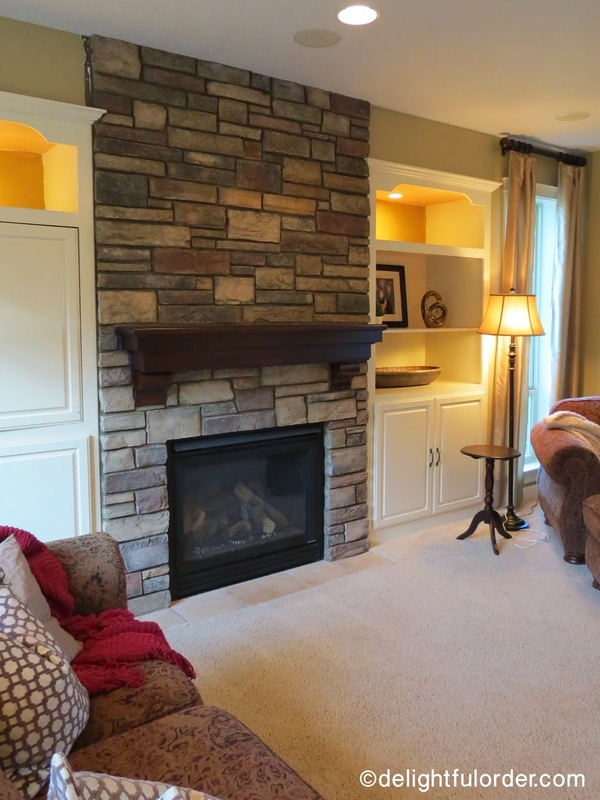 The before and the after were both lovely but I think the stone looks more updated and more expensive. I also love that you can hang the stockings for Christmas (isn't that everyone's dream?). Can't wait to see it all decorated for Christmas! It is GORGEOUS!!! I LOVE it!!! Yes, the perfect place for all of your Christmas stockings. 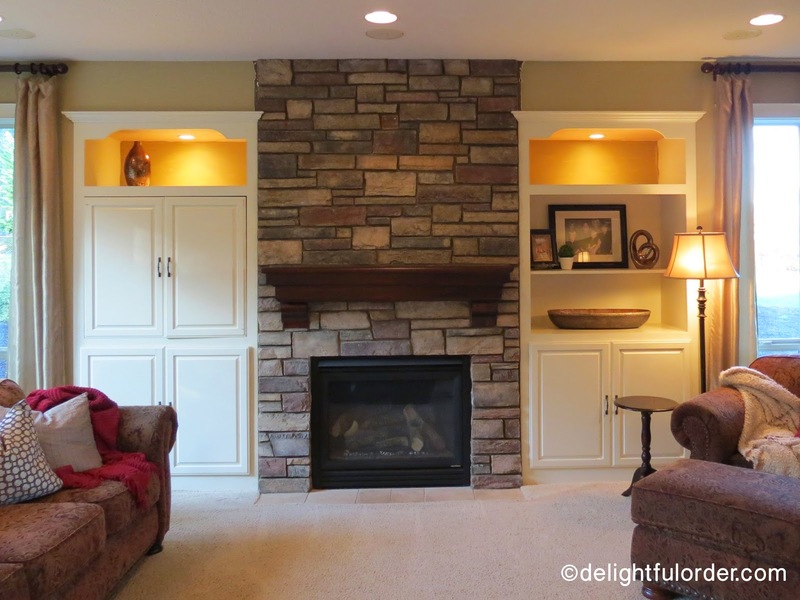 :) I love the stone and the mantel is very pretty. 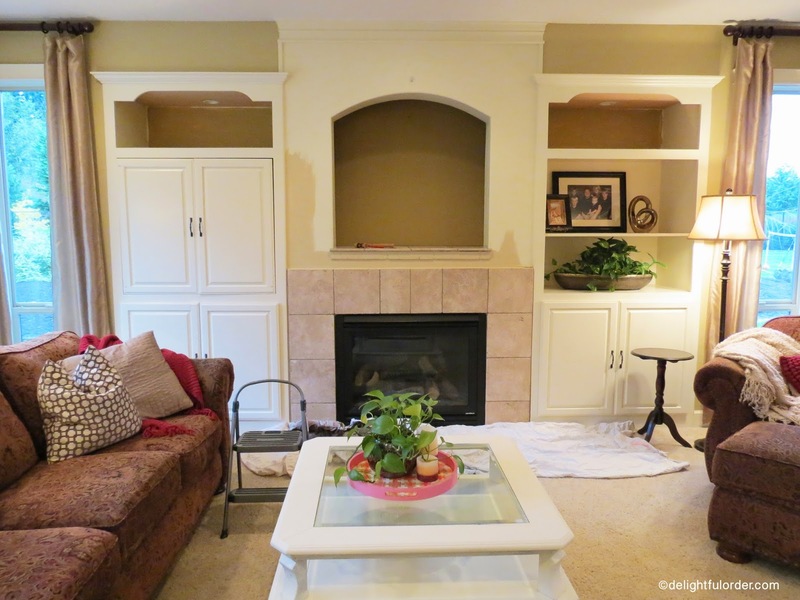 Isn't it something how changing something like that changes the whole look of the room. I love home projects. I was hoping we would be further along in ours, but hubby has been working a good amount of overtime. We work on it when time allows. We are finally getting around to finishing our basement. :) You have no idea how excited I am. After being here 10 yrs., it is finally happening. We replaced all of the basement windows and bought a spray foam pak kit and foamed the rim. OMG!!! It is SO much warmer down there!!! It was like an igloo before. Everyone wants to hang out down there now. Very, very nice. Great choices! I've enjoyed your blog. Please keep it up.